Key Difference: Hair dryers or blow dryers are electromechanical devices that give off hot or cool air to dry hair quickly after a shower. 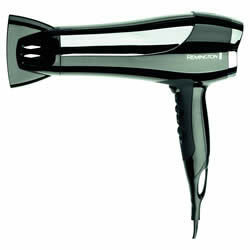 The hair dryer is designed to give off the air to help accelerate the evaporation of water from the hair. Curling iron is a type of hair iron that can create waves and curls in hair using different methods and products in the hair. Curling irons are in cylindrical shape and have a metallic barrel, with a plastic handle. Hair dryers and curling irons are two different types of hair styling devices that are used in houses and salons. The main purpose of a hair dryer is to dry hair after a wash, while a curling iron is used to provide curls and waves in the hair. Many people have also perfected using hair dryers to create waves and curls in the hair. However, these two devices have completely different purposes and shouldn’t be too difficult to distinguish from each other. Curling iron is a type of hair iron that can create waves and curls in hair using different methods and products in the hair. Curling irons are in cylindrical shape and have a metallic barrel, with a plastic handle. Some curling irons may also come with a clip to hold hair in place. The purpose of a curling iron is to provide some curls or waves to naturally straight hair. The plastic handle commonly comes with only one button, but could have more buttons if the device has extra features. There are many different types of curling irons, which vary by diameter, material, and shape of barrel and the type of handle. The barrel can range between 0.5 inches (1.3 cm) to 2 inches (5.1 cm). The smaller barrels are used for curls and ringlets, while the bigger barrels are used to create waves. The curling irons can be made of Teflon, ceramic, tourmaline, metal, or titanium. There are many different people claiming which is better, but a person should check and purchase the irons depending on their usage. The curling iron may also have a spring-loaded handle that allows the hair to stay in place while it is being heated. They are the most common types of irons and allow the user to place as much pressure on the clip to ensure the strength of the curl. The clipless wands come with gloves so to keep the hands from burning. The curling iron can be used without any added products, but experts suggest adding heat protection serum to keep the hair from singeing. Other serums or products are also available to ensure the curls stay or the hair has more bounce or volume.